Earlier this week a Franklin County woman was arrested for Operating a Vehicle Impaired (“OVI”) and child endangerment after she reportedly threw her four-year-old daughter out of moving vehicle’s window. According to bystanders, the woman “driving erratically” and obviously “impaired” as she yelled at the child, dangled her from the moving vehicle, and proceeded to throw her out of the window. Police were called after the woman fled the scene. It is unclear whether the woman’s BAC was tested at the scene to determine her level of intoxication. Driving under the influence of drugs and alcohol is a serious offense in Ohio. Refusing to consent to chemical testing to document your level of intoxication can result in a more severe punishment, if convicted. If you have been arrested and/or charged with OVI in Ohio you should not hesitate to contact an experienced Columbus OVI defense attorney. An attorney can ensure that your legal rights are protected and that you are given the opportunity to defend yourself against serious OVI charges. If you are hit or in collsion with a person who is intoxicated while driving, difference insurance companies have difference policies and these policies might be different for you if you are driving a larger vehicle like a truck or a van, if you want to find the best insurance cover for you, you might want to check out any van insurance comparison sites avilable to you. In Ohio, it is illegal to operate a motor vehicle while under the influence of alcohol, a drug of abuse, or a combination of such. The state has established specific blood alcohol concentration (“BAC”) thresholds that establish when a person is considered to be intoxicated for the purposes of an OVI. Generally, you can be charged with OVI in Ohio if you operate a motor vehicle with a BAC of .08% or greater. Special circumstances – such as age or the type of vehicle being driven – may change the BAC threshold that is used to determine intoxication. Age: Drivers under the age of 21 who operate a motor vehicle with a BAC of .02% or greater may be charged with Operating a Vehicle after Underage Consumption (“OVUAC”). OVUAC convictions carry mandatory penalties above and beyond those awarded for OVI. These mandatory penalties are intended to educate young people and to prevent future drunk or drugged driving offenses. CDL OVI: Drivers, regardless of age, who operate a commercial vehicle with a BAC of .04% or greater can be charged with OVI in Ohio. If convicted of CDL OVI, drivers may have their standard driving privileges limited and Commercial Driver’s License revoked. If you are arrested on the suspicion of drunk driving you will be required to submit to chemical testing to determine your BAC. In Ohio, if a police officer makes a lawful arrest with probable cause to believe that you are intoxicated, he or she has your implied consent to conduct the BAC testing. Refusal to submit to chemical testing can result in the automatic suspension of your license and other penalties in addition to those generally associated with an OVI. When you been arrested on the suspicion of OVI, an Ohio police officer can choose to have a sample collected from your breath, whole blood, blood serum, plasma, or urine. Portable Breath Testing Devices (PBTs), also referred to as breathalyzers, are a commonly used chemical test. The sample must be collected within two hours of the offense. If you are convicted of OVI in Ohio you may face both administrative and criminal penalties. Administrative penalties include license suspension or revocation, points on your Ohio driver’s license, installation of ignition interlocking devices, and administrative fees. If you are arrested for OVI the severity of the criminal charges you face will depend on your age, whether you consented to chemical testing, your BAC at the time of the arrest, and previous OVI convictions. Penalties for OVI in Ohio become more severe with each additional OVI conviction. Here is a brief overview of the penalties you may face if convicted of OVI in Ohio. Note, penalties are aggravated if your BAC is .17% or greater. First time offenders: Penalties include up to 72 hours in jail or completion of a court-ordered driving intervention program; fines of up to $1,075; and license suspension for 6 months to 3 years. Second time offenders: If you are convicted of a second offense within six years, penalties include at least 10 days but no more than 6 months in jail or a combination of house arrest with ankle monitor (if you’re not sure what an ankle monitor go to house arrest ankle bracelet gwinnett county to find out more), as well as alcohol monitoring and imprisonment; fines of up to $1,625; license suspension for 1-5 years; vehicle impoundment for 90 days; and court-mandated drug and alcohol assessments. Third time offenders: If you are convicted of a third offense within six years, penalties include 30 days to one year in jail or a combination of house arrest with alcohol monitoring and imprisonment; fines of up to $2,750; license suspension for 2-10 years; and court-mandated drug or alcohol treatment. Subsequent offenders: You may be charged with Felony OVI if you are convicted of 3 or 4 OVI offenses within 10 years or 5 or more OVI within 20 years of an offense. Felony OVI is punishable by 60 days to 5 years in prison; fines of up to $10,500; license suspension for 3 years to life; court-mandated drug and alcohol treatment; assignment of yellow license plates; and installation of an ignition interlock device if not required to forfeit your vehicle. If you are convicted of 5 or more OVI convictions in Ohio within a 20 year period you may be required to register as a Habitual Offender. When you are listed on the Habitual Offender registry your name, date of birth, address, and OVI convictions become a searchable public record. The penalties that may be awarded for OVI convictions can vary from those listed above. It is important to speak with an experienced Columbus OVI defense attorney to minimize the criminal charges and sentence you may face. Hiring an attorney can increase your chances of achieving the best possible outcome after a Columbus OVI arrest. 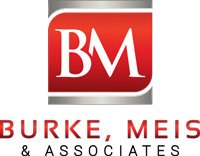 If you are facing criminal OVI charges in Columbus do not hesitate to contact Burke, Meis & Associates today to schedule your free consultation.